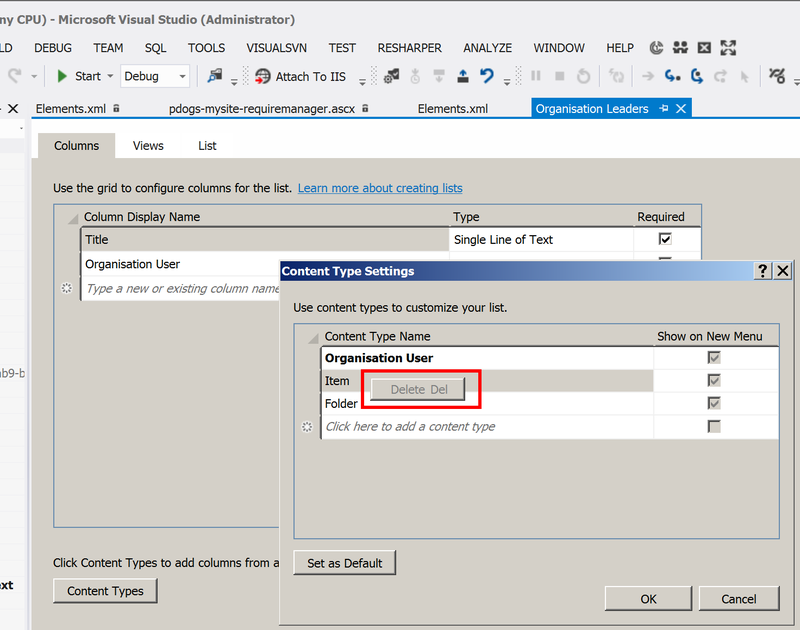 The new SharePoint designers in Visual Studio 2012 are a great productivity booster, and it’s now much easier to create Site Columns, Content Types and List Definitions. 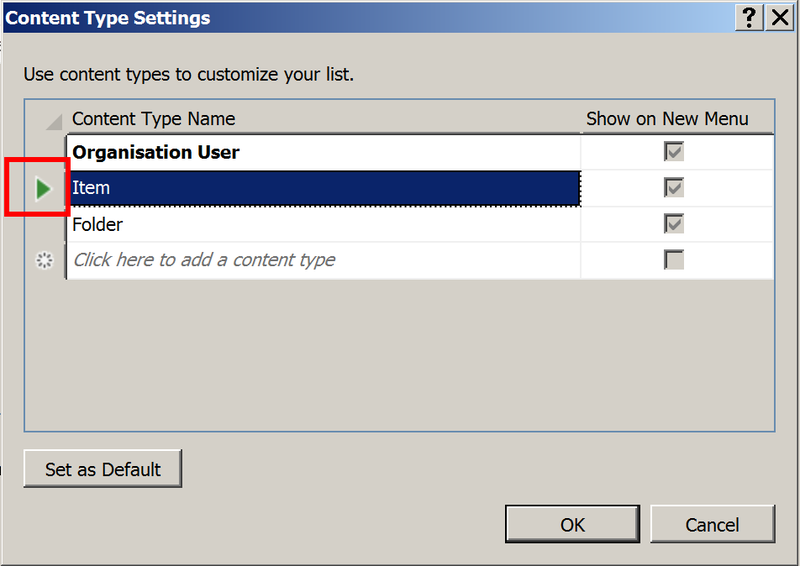 Today I came across some peculiar behaviour in the List [definition] designer when it came to configuring the lists Content Types. If you edit the list definition schema.xml file, you can manually remove those ContentType references, and then re-entering the designer shows correctly. 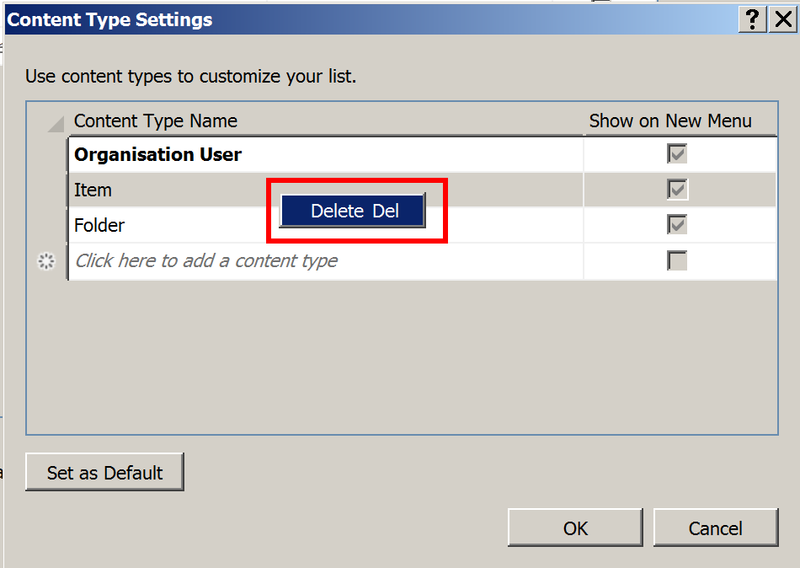 Clicking this little McGafter, enables these default ContentTypes, allowing you to remove them using the designer, just right-click and choose Delete. Along with new designers it also facilitate new templates with some new options to which one can easily deploy as well as test sharePoint sites. As far as I know content types are critical component through which inheritance is carried out through its id. Thanks! This is exactly I’ve been looking for) Pulled out some hair trying to figure out why the Del menu is grayed out.